I bought super early pre-sale tickets for Forecastle 2014 back in December of last year. The lineup had not yet been announced yet, but passes were priced nicely at around $120, so I figured it was worth it. I went on Saturday in 2013 and it was so well put together and one of the most fun festivals I had ever been to. With bands like The Black Keys and Avett Brothers headlining, I knew there had to be a chance they'd snag some pretty solid headliners this year. Then the gods were looking out for me with Jack White and Beck coming out with albums earlier this just in time for festival season. Sure enough Forecastle booked the veterans along with the journeymen of the 2014 summer festival season, Outkast. I have been pretty hard on Outkast when seeing their festival schedule this year, but I really wasn't sure if I'd be in to them or not (you'll find out shortly). With other talented and amusing bands also booked such as JJ Grey and Mofro, Gary Clark Jr., Tune-Yards, Jenny Lewis, Band of Horses and Brett Dennen, there was more then enough content to warrant the trip down south. If it wasn't for the awful traffic heading in town from Ohio, it would have been a perfect weekend, but I missed the first show that I was really looking forward to see. 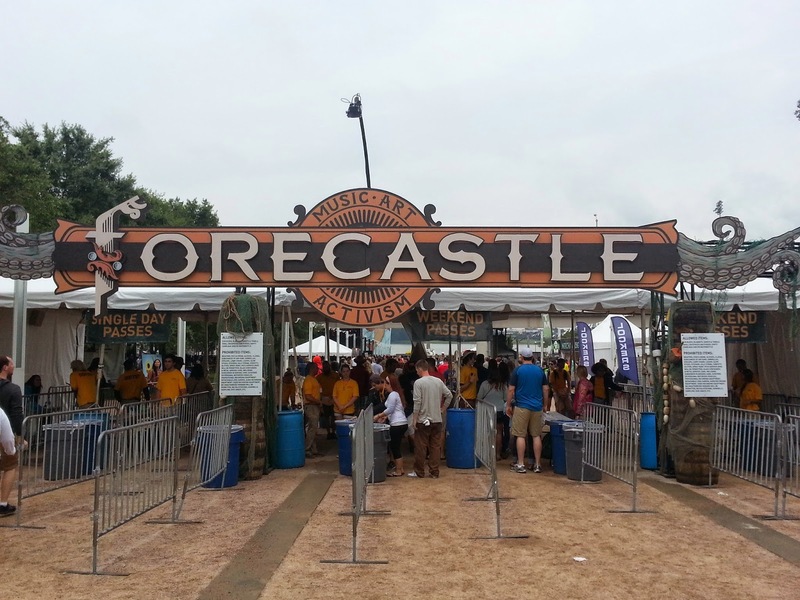 Let's take a look at Forecastle's eclectic lineup from start (sort of) to finish, band by band.